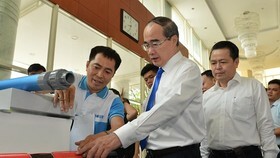 On June 9th, at the Hoa Binh Theater, the Labor Confederation of Ho Chi Minh City organized the program "Accompanying business" in 2018 and commended business owners with activities to take good care of workers' lives. . This is one of the core activities of the 10th Worker's Month in 2018. 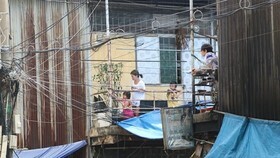 According to Ms. Tran Thi Dieu Thuy, Chairwoman of the HCM City Labor Federation, honoring business owners demonstrates the respect of union organizations amd enterprises that have well implemented the policies and laws, paid attention to the material and spiritual life of workers and laborers. 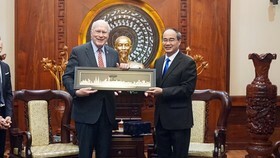 That would contributes to building a harmonious, stable and progressive relationship in the enterprise, contributing to the development of HCMC, she added. 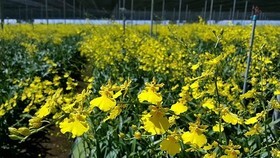 Besides, these business also take good care of material and spiritual life to help workers feel comfortable in working, and becoming more attached to the business. 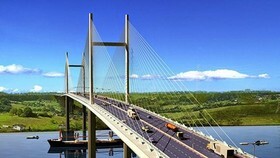 Some companies have performed very well the training, training, building and improving the quality of human resources. 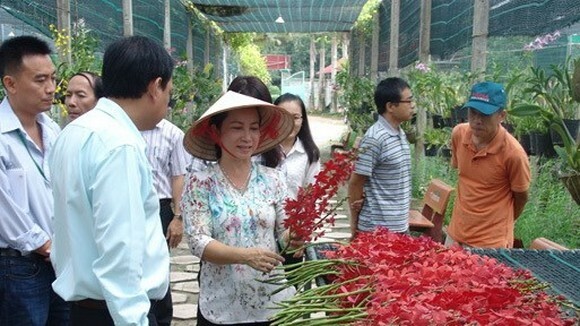 Several business owners formulated a policy of preferential treatment, to create opportunities for promotion of career development for young workers who are well-qualified and ensure the living conditions for laborers, Ms. Thuy stated. 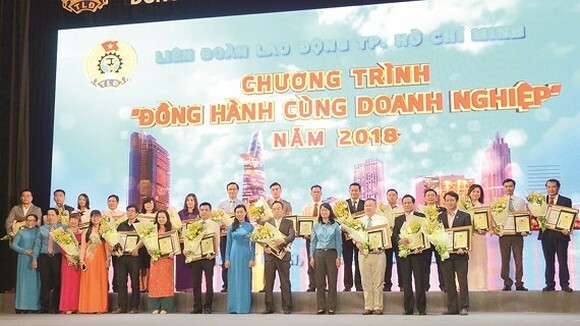 On this occasion, the People's Committee of Ho Chi Minh City awarded certificates of merit to 24 leaders of typical enterprises with many achievements in managing and running production activities and taking good care of workers' lives. 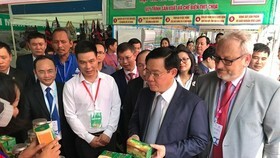 On the same day, the Labor Union of Export Processing Zones and Industrial Parks in Ho Chi Minh City also organized the program "Companionship with businesses" and commended 40 typical business owners in taking good care of workers’ material and spiritual life. 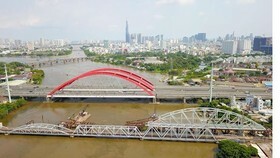 Starting in 2018, enterprises in the Export Processing Zones and Industrial Parks have successfully implemented the adjustment of the region's minimum wages, distributing 133,000 Tet gifts, supporting nearly 5,000 tickets for workers returning home with total expenses and charges up to VND 50 billion.